The Syracuse Orange men’s basketball team is up against the Baylor Bears in the first round of this year’s NCAA Tournament. Gripe all you want about the late tip-off-time (though I certainly won’t), but Baylor actually presents one of the better matchups of SU’s possible opponents going into Selection Sunday. So for that, I’d say I’m pretty happy about it — and you should be too. We’ll have a formal preview of Baylor, as well as some #FakeNunes later in the week too. But to get the conversation started, it only seemed fair that TNIAAM’s foremost Baylor critic (me) told you what you need to know about the Bears. Clark was leading the NCAA, making 73.7 percent of field goals, before he was lost for the season with a left knee injury. At the time (January 12), he was averaging 14.6 points, 6.3 rebounds and 2.4 blocks — all figures at or near the team lead. Since then, Baylor’s still looked alright. They played nearly the entire Big 12 schedule without Clark, went 10-8 in league play, and pulled upsets over Texas Tech and Iowa State. That said, they’ve also lost four straight going into the NCAAs now, including a defeat at the hands of ninth-place Oklahoma State. 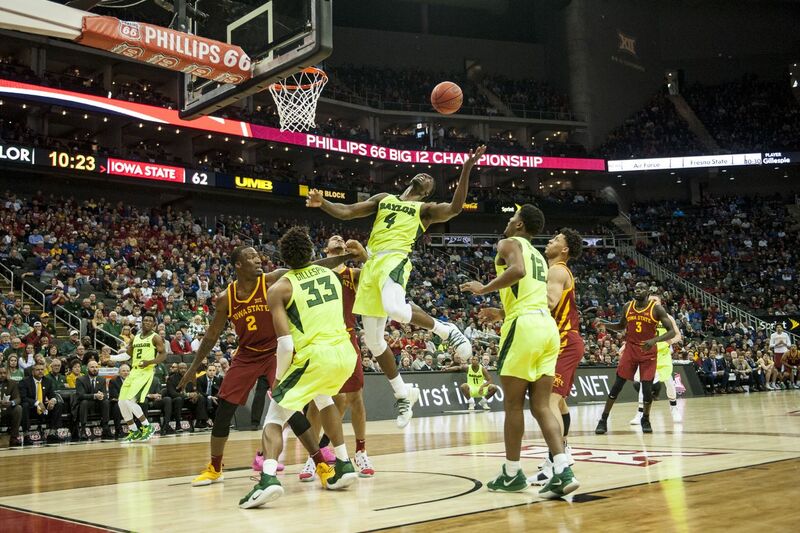 Without Clark, Baylor’s relied far more heavily on the team’s guards on the boards. Mark Vital actually leads the team in rebounds now with 7.2 per game, Mario Kegler has six per and King McClure has 5.2. None of those players are taller than 6-foot-7. Yale transfer Makai Mason is the Bears’ active leading scorer this year, but has also missed two of the last seven games with a toe injury — but did have 14 points in their Big 12 Tournament loss to Iowa State. McClure’s missed five games recently with a knee injury, but the team did go 3-2 without him (including a win over ISU). Since he’s been back, he’s been far more limited; scoring seven or fewer points in every game and never playing more than 26 minutes (against OK State). As we’ve covered to some extent this year, Syracuse has largely been more successful when the game’s slowed down (notably, Duke win aside). Well, Baylor’s tempo is 291st in the country (for reference, SU’s 251st, per KenPom). So if you thought the Orange were a slog to watch at times, the Bears appear ready to one-up us there. However, where they manage to gain an advantage is with regard to efficiency. The Bears are 28th there, while Syracuse is 61st. That’s not a huge gap — and part of it is influenced by Clark’s time on the team — but it’s enough of one to see that Baylor does a bit more with their offensive possessions. They’re also pretty good on the offensive glass, which is where some of that efficiency comes from. Combined with a team-wide 44 percent field goal percentage, there are a minimal amount of opportunities that don’t result in points of some sort. Drew inherited an incredibly difficult situation when he took over at Baylor in 2003-04. The program didn’t make the NCAAs until 2008, but was in the Elite 8 by 2011. Baylor has made it to the Elite 8 one more time (2012) and Sweet 16 twice (2014, 2017). But otherwise, they’re a first round departure or NIT participant. He’s also 0-2 against Syracuse as a head coach. The Bears lost to SU 94-71 at the Dome in 2006, along with a 74-67 loss in the 2013 Maui Classic. This seems at least sort of relevant, even if those Drew-coached teams were awhile ago and feature zero roster overlap with this one. All of this paints a pretty positive picture for Syracuse, though it’s not perfect. However, the Orange have a size advantage, the Bears’ tempo plays into SU’s approach and Baylor can’t really shoot over the zone. Of all of the nine-seeds in this year’s tournament, the Bears are a much better matchup than UCF, Oklahoma or (especially) Washington. That doesn’t guarantee success. It just helps. Thoughts? Plenty more to come before Thursday’s game.